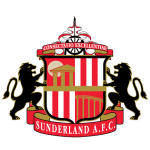 Sunderland vs Walsall predictions for Saturday’s League One fixture at Stadium of Light. The Black Cats will be hoping to regain the winning thread after they drew a blank against Barnsley on Tuesday. Continue reading below for all our free tips and predictions. Sunderland just about maintained their 100% scoring record when they sneaked a late equaliser against Wycombe last weekend, though they finally drew a blank when they visited Oakwell on Tuesday evening. Having failed to score, failed to win and thus failed to make ground on the top two, the Black Cats will be hoping that the return to their own ground sparks a return to winning ways. Jack Ross’ automatic promotion hopefuls did draw in the week, though they played well, as they clocked 1.17 expected goals and conceded just 0.85 against one of the best teams in the division. Walsall are unlikely to provide anywhere near as much resistance as the Tykes, so Sunderland should have an easier time going forward. Recent home performances suggest that the Black Cats have got more than enough quality to really hurt a Walsall side that has been poor defensively this season. Scunthorpe scored twice in victory against Plymouth last time out, while they’ve now scored at least twice in each of their last three home games. They’ve posted encouraging expected-goals for numbers of 1.45, 2.9 and 2.48 during that time. A repeat of any of their last three efforts at Stadium of Light should see Ross’ men regain the winning thread. 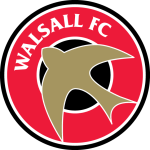 Walsall did threaten to stage a late comeback against Portsmouth on Tuesday evening, though they ultimately paid the price for being far too weak at the back. Pompey managed to create 2.12 expected goals for and find the net on three occasions, so it’s easy to envisage the Black Cats getting plenty of attacking joy on Saturday. Furthermore, the Saddlers have struggled from a defensive point of view on their travels of late, shipping at least twice in three of their last four travelling matches, as well as in six of their last ten. They’ve also shipped an average of 1.65 expected goals. While they’ve found it tough to keep teams at bay, Saturday’s visitors have also struggled to get going offensively in their recent away games. They’re without a goal in three on the road, while they’ve notched a rather poor average of just 0.89 goals away from home during the current campaign. Such stats don’t bode well ahead of their trip to Stadium of Light. Whichever way you look at this fixture, it’s difficult to avoid thinking that it’s a huge opportunity for the hosts to resume winning ways, and it’s an opportunity that they’re expected to grab with both hands. Punters can profit by backing ‘Sunderland -1 Handicap’. Walsall, who’ve scored the second fewest goals away from home in League One this season, have offered significantly less going forward on their travels than the Black Cats have at home of late, while they’ve also provided considerably less resistance. Only Luton have scored more goals at home than Sunderland during the current League One campaign. Walsall have scored the second fewest goals away from home in League One this term. Walsall have scored an average of 0.89 goals on the road, while Sunderland have scored an average of 2.0 at home.